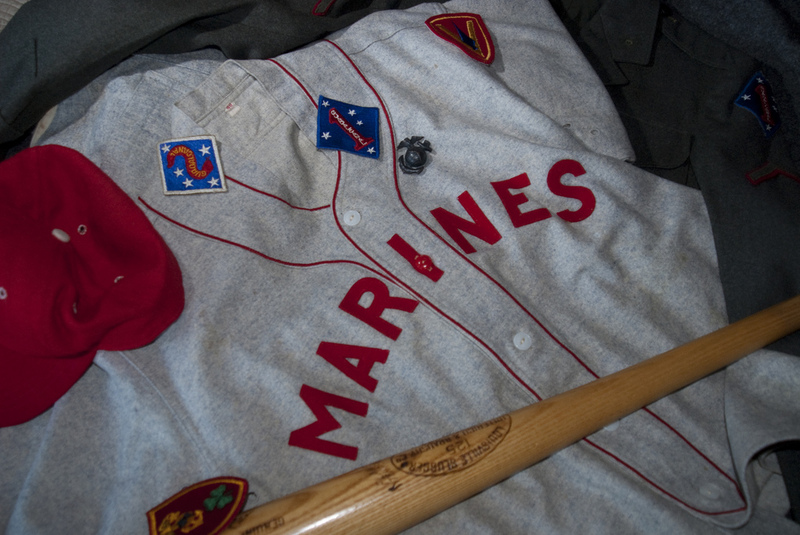 Featured in this USMC baseball artifact display is my World War II road gray jersey that is in immaculate condition. I also have the matching trousers in comparable condition (the cap, patches, bat and insignia are unrelated to the uniform). Posted on April 1, 2016. Bookmark the permalink. Leave a comment.